The Tank Team profiles, Roky Erickson, one of psychedelic rock's pioneers. We discuss The 13th Floor Elevators and Roky's later solo work as well as his compelling personal story. Plus we read and discuss the viewer mail. 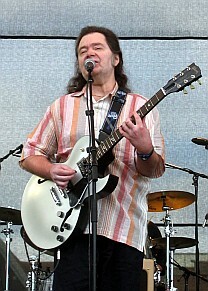 Roky Erickson was the singer and guitarist of The 13th Floor Elevators psychedelic rock band founded in 1965. Other members include Tommy Hall, Benny Thurman, Stacy Sutherland, and John Ike Walton. 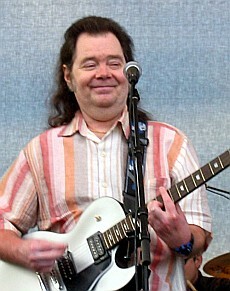 Later, after being released from Rusk State Hospital for the Criminally Insane in 1972, Roky Erickson, restarted his musical career. Roky's 1970's sound was different than that of The 13th Floor Elevators. 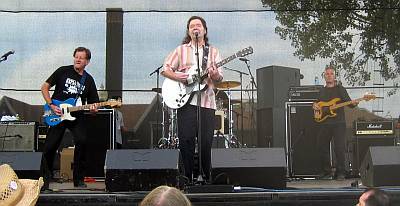 Listen to Tank Riot's Roky Erickson show to learn more! Correction: The Summer of Love was the Summer of 1967. This episode also features viewer mail. Mail topics include the Amazing Russell's socks, Moon energy, how to impress girls from Iowa, Wal-Mart, and more great music from 2005.